Looking for a run like NUN other? Look no further, join us for Rosaryville’s Nun Run. 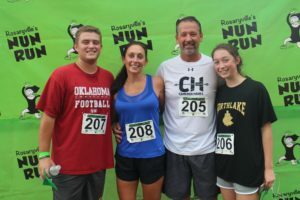 The beauty of Rosaryville will provide you with a trail run unlike any you have ever run, while supporting the work of Rosaryville and the Dominican Sisters of Peace. Join our Anything Goes Cook-off while enjoying music by Just For Fun.